Lucy Lace is a fine warm yarn available in wintery jaspe colours. Blend of merino, alpaca and acrylic suitable for soft degradé women’s jumpers. 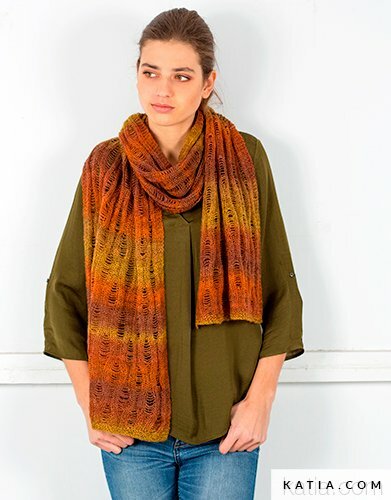 Lucy Lace is ideal for fantasy stitch eyelet shawls in both knit and crochet. Composition: 40% Acrylic - 40% Merino Superwash - 20% Superfine Alpaca Length: 315 mts. / 344 yds. 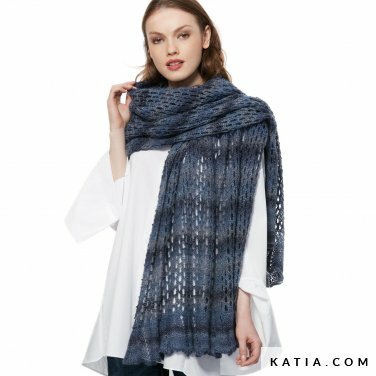 Or go to www.katia.com to download patterns for Lucy Lace.